This collection of four papers presents the basic elements of Continual Improvement. The Germ Theory of Management by Myron Tribus is a powerful description of the scope and nature of the transition from traditional ways of doing business. 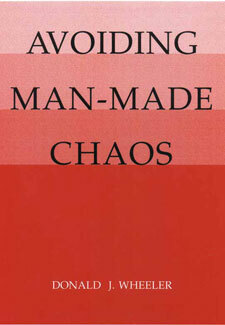 Avoiding Man-Made Chaos continues this theme, contrasting traditional methods of interpreting data with the use of process behavior charts. Additional sections on avoiding the chaos of mathematical complexity and inappropriate terminology are included. Myths and Foundations outlines four common misconceptions about process behavior charts and four requirements for their effective use. Charts Done Right outlines the difference between the right and wrong ways of computing limits for the two most common types of process behavior charts. Special Order Only.